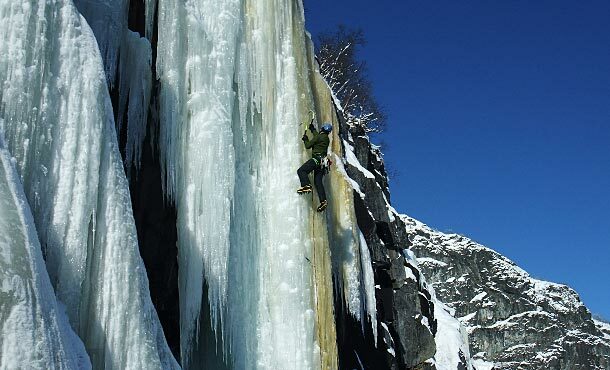 In search of unknown icefalls – an icy exploration in norway. For the past six weeks the temperatures in the region between Hardangervidda and Jotunheimen National Park didn’t climb above –4 °C, with a current daily maximum at –16 °C. 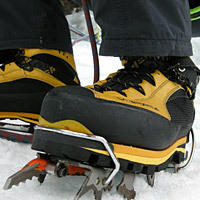 Those temperatures guarantee perfect conditions for ice climbing. So we hit the road. And in fact we have the right feeling – we discover countless icefalls. Our first stop is the small town of Gol northeast of the Hardangervidda plateau. 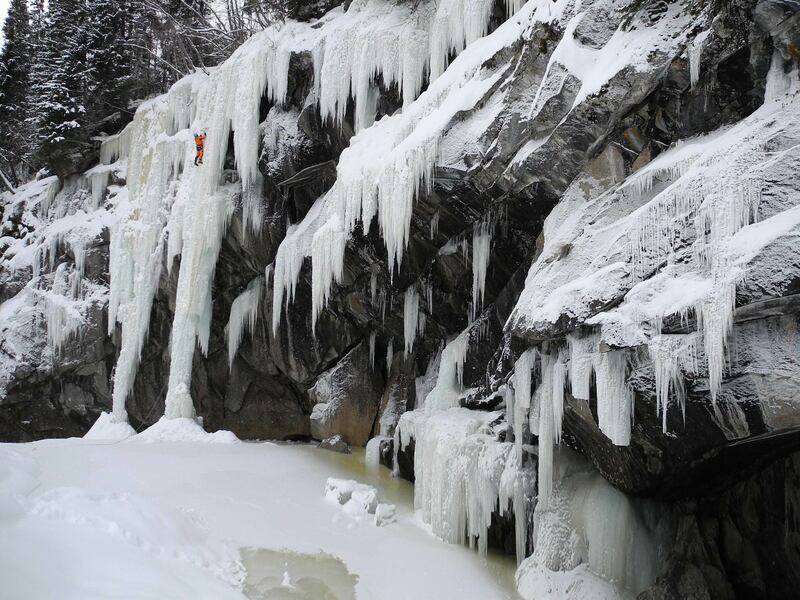 Here are some already climbed icefalls and in Golsjuvet we take the opportunity of getting used to the cold temperatures and the ice conditions. Today we get an idea of what it means to discover the unknown: everyday we are looking for icefalls in order to find the perfect one. We found a showpiece in a deserted valley in the vicinity of Ål. Seen through our binoculars from the road, the icefall seems very rewarding and we are heading towards the approach. Because it has been snowing a lot in the last couple of days, cleaving a trail into knee-to waist-deep snow can be quite challenging. There is no chance to progress without snowshoes. And so the approach through the narrow forest to the icefall is quite adventurous. Because of the so far unclimbed icefalls, we have a lot of work on the concrete-hard frozen ice. This is no comparison at all to the well frequented routes á la Rjukan. And without a guidebook in the bag the situation is quite different. 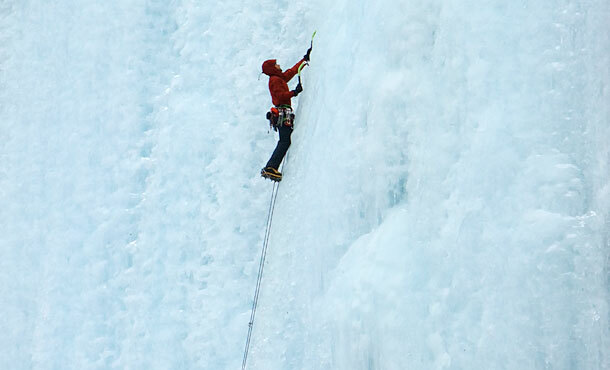 Searching for icefalls and finding them, identifying the difficulties and evaluating belaying options, exploring the best way to approach and deciding whether it is worth to climb the icefall, and if so: give it a try. Thus the days fly by. You don’t get such a kind of ascents for free. Dropping temperatures, icy roads, mostly flooded and frozen fields and our car that refused to start in the morning makes the situation even more interesting.  We have the impression that the whole country is flash frozen in hibernation. 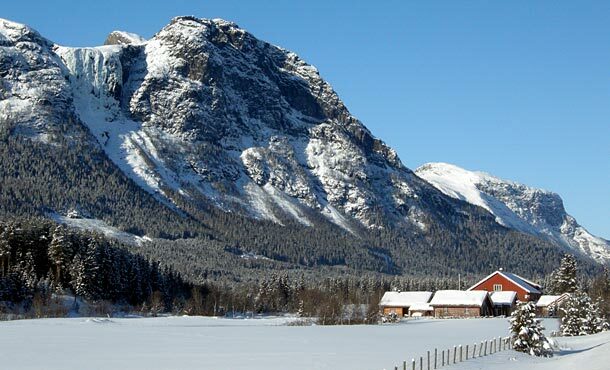 From our cozy log cabin in Jondalen (see address below), we make some daytrips further north to Hemsedal. The icefalls are mostly known in this area. Haugsfossen impressed us the most: it is a beautiful secluded southern exposed icefall in a small sunlit corner, which is quite safe to climb at such a temperature. The massive wall of ice offers all kinds of difficulties, so we climb like mad until our ice tools glow. 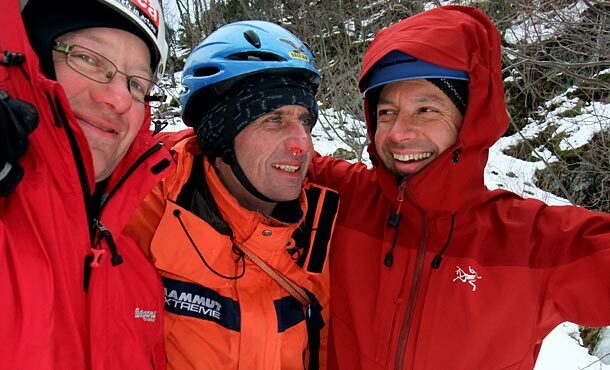 The icefall Vøllokula is next on our agenda. Several pillars, cigars and curtains in this area have big horizontal settlement cracks at the moment, so every time it is crucial to consider whether these free-standing ice formations are still climbable on a reasonable risk. But not this pillar: without a crack – although in the sun – it seemed very stable and we ventured an ascent on its thinnest part, a honey-colored stripe of ice – delicious! In the evening we were ready for a rest day. On the following day we are planning to move to the area of Lærdal. We give up our cherished wooden hut with heated slate floors and take the R52 across the mountains to Lærdal where we move straight into a cozy wooden house at the harbor. We use the day to explore new icefalls and their locations, because we want to climb them in the next couple of days. And we discover more than we expected. In the evening our maps of this area are well-filled with information and we work out definition and classification of icefalls on the laptop. One day we climb an icefall with eight pitches near Seltungård and had to rappel down at night. The other day we are looking for an icefall, which we have identified in the distance but couldn’t find it later on. We don’t have the balls to climb the huge icefall near Mo, but instead we climb an absolute dream line at Ljøsne. Stop and go, up and down, cold outside during the day, warm in the hut at night – the opposites attract and take their toll until we are totally exhausted. As for me, the stunning silence at the icefalls in a beautiful area, the daily fun we had together and with the ice, and the nightly interesting fireside chats with a good glass of wine makes this tour a unforgettable one. And finally, friendships that last a lifetime. Drive up to Danmark, take the ferry to Helsingborg in Sweden. In Norway you head towards Oslo and then keep on driving on partly iced roads to Gol. Go on further north to Hemsedal and over the Fjell to Lærdal. Multi-pitch climbing up to 8 pitches in a phantastic scenery. Rappel anchors usually have to be set up by yourself. The icefalls are partly on private property. Therefore ask at the farm in advance for climbing and where to park the car. Caution with sudden temperature changes at icefalls within reach of fjords!